The Alaska moose (Alces alces gigas) or giant moose or Alaskan moose is a subspecies of moose that ranges from Alaska to western Yukon. 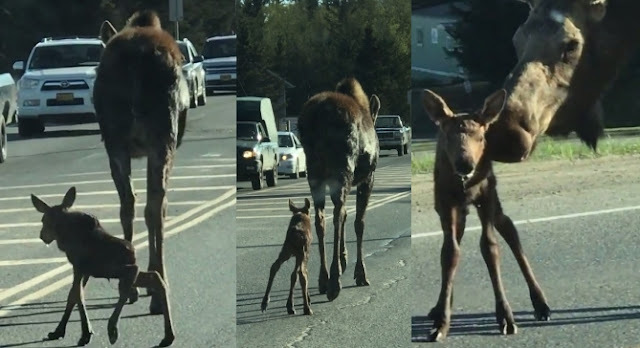 Responses to "Respectful drivers stop traffic to let mama and baby moose cross the road in Alaska"
They should have called the police who could have called an organization to get Mommy and Baby back "home". Or a safe place.